The Instantel Minimate Pro4 is an advanced vibration, overpressure and sound monitor with improved ruggedness and allowing use of numerous specliazed sensors. 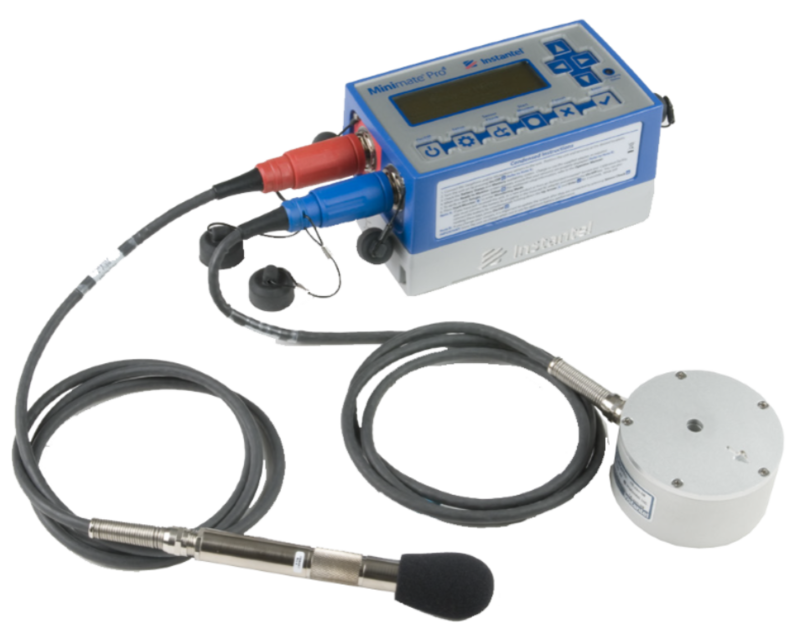 The Instantel® Minimate Pro4 vibration, overpressure and sound monitors are built on the success of the Minimate® Series III monitoring systems. The Minimate Pro4 offers 64MBs of memory, improved ruggedness, including a metal case and connectors, and water resistance. For reliable compliance monitoring, connect an ISEE or DIN Triaxial Geophone and an ISEE Linear Microphone or optional Sound Microphone. For those challenging monitoring applications, such as tunneling, the Minimate Pro4 monitoring unit includes EMI shielding and built-in noise and anti-aliasing filters; both the sensor and auxiliary channels are isolated. Even with all of these features, the Minimate Pro4 system remains easy for anyone to use. A high-contrast LCD and ten-key tactile keypad drives simple menu operations, while graphic icons indicate battery and memory levels at a glance.